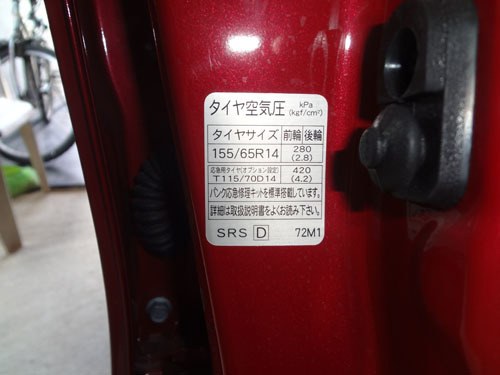 Standard (Stingray) 155/65R14 75S 280 kPa (around 40 psi) In manual it recommends tyre pressure of 41.6 Psi. This is mainly targeting the highways in Japan. However in Sri Lanka we face lot of rough road conditions and higher temperatures. So it is good to keep the tyre pressure around 35 Psi. Standard 165/55R15 75V 240 kPa (around 35 psi) In manual it recommends tyre pressure of 35 Psi. This is mainly targeting the highways in Japan. However in Sri Lanka we face lot of rough road conditions and higher temperatures. So it is good to keep the tyre pressure around 30 Psi. Last updated by Romesh Maling Perera.